Nobody will ever accuse Sara Carr of having a senior slump. Carr had an amazing junior year in 2014-15, helping lead the Mountain Brook volleyball team to the Class 7A championship and being named the Gatorade Player of the Year. On top of that, she averaged more than 20 points a game as a member of the varsity basketball team and was named the Over the Mountain Journal’s Girl Athlete of the Year. The way things are going, Carr’s senior year might be even better. In October, she led the Lady Spartans to their second consecutive 7A volleyball crown. Last week, she was named Gatorade Player of the Year for the second consecutive season. Carr had 656 kills, 581 digs, 116 aces and 55 blocks with a .454 kill percentage and .340 hitting percentage in leading Mountain Brook to a 57-5 record in 2015. She was never better than in the championship final against McGill-Toolen, when she had 13 kills, 12 digs and two aces. As usual, Carr accepted the honor by tossing credit in other directions. Carr is the only Mountain Brook player ever to earn the Gatorade volleyball award and the third player in 20 years to be a repeat winner. In addition, she is an honor student and involved in numerous extracurricular activities beyond athletics. With the basketball season just underway, Carr is off to another impressive start for Mountain Brook. Who knows what wonders may still await in her senior year? Many local basketball fans remember Terry Coner as an outstanding guard for the University of Alabama in the 1980s. They may not know that he is now the head basketball coach for The Altamont School’s boys team. Coner had been a long-time assistant for the Knights and moved up to the top job after the retirement of Barry Bearden. Through last weekend, he had guided Altamont to an 8-0 record. Before coming to Altamont, Coner played professionally overseas for years and coached at Miles College. The former All-Southeastern Conference performer said that coaching at the high school required a different approach from college. Coner said he learned much about coaching from Bearden, former UAB star Archie Johnson and his own former coach at Alabama, Wimp Sanderson. “But I don’t have any plaid jackets in my closet,” Coner said, referring to the colorful coats Sanderson wore while coaching the Crimson Tide. On a more serious note, Coner said the culture for basketball in Birmingham has changed since he was a star at Phillips High School in the early 1980s. Coner said that four seniors – Cade Hornack, Bennet Murray, Gates Ely and Davis Hornack – anchor the Altamont team. Juniors on the Altamont roster are Miles Underwood, James Patterson, Sri Ponnazhagen and Will Rosenstiel. Terry Coner made his mark as a college player in the 1980s and looks well on his way to making a major impression at Altamont, too. 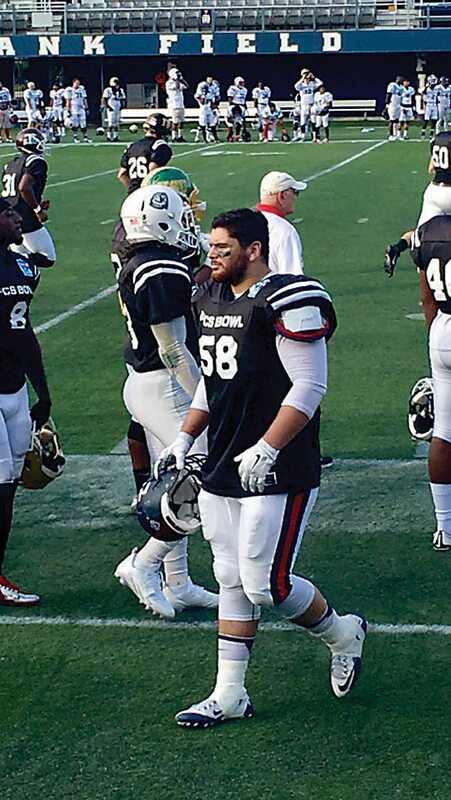 Former Vestavia Hills and Samford defensive lineman Jose Casanova made his presence felt in the prestigious FCS All-Star Game in Miami on Dec. 6. The game – played at Ocean Bank Stadium on the campus of Florida International University – gives players in the Football Championship Subdivision the opportunity to showcase their talents before National Football League coaches, scouts and agents. Casanova led the National team with six tackles. Casanova said he is in the process of selecting an agent to negotiate with an NFL team that might be interested in drafting him or signing him to a free agent contract.